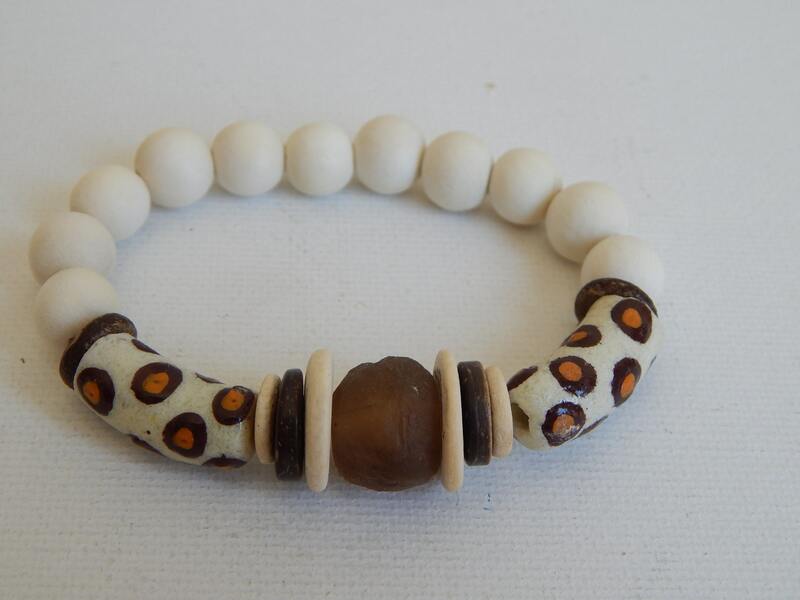 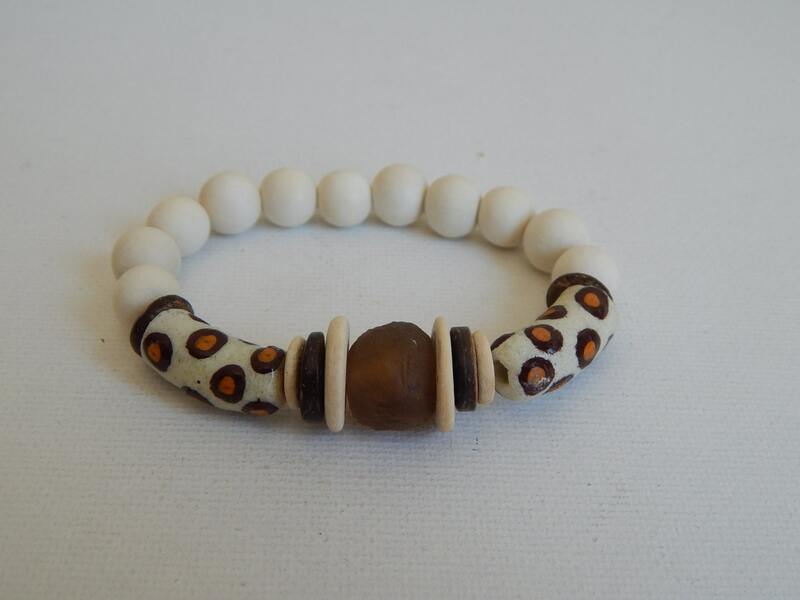 This easy to wear stretch bracelet is made of whitewood beads and various african trade beads, recycled glass, and coconut wood beads. 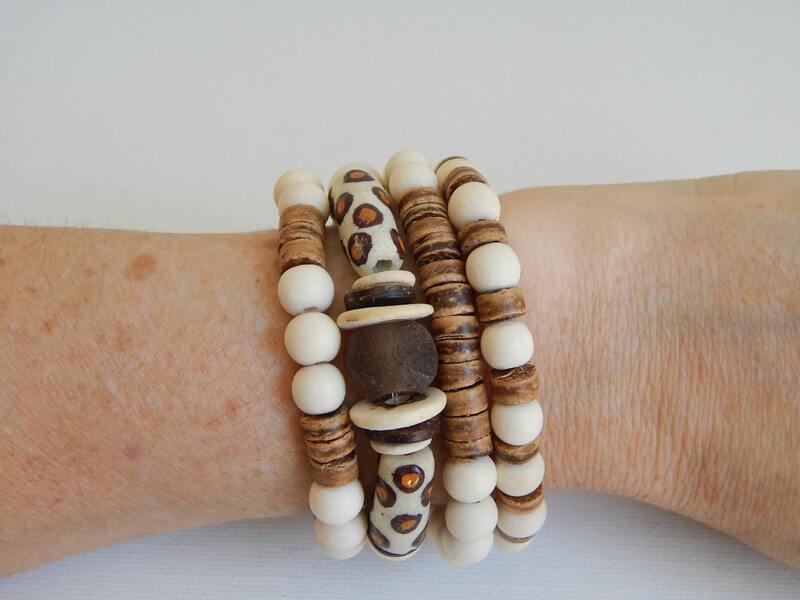 Wear alone or stack with others from my shop (shown with the coconut wood bracelet set) for that perfect beach boho look. 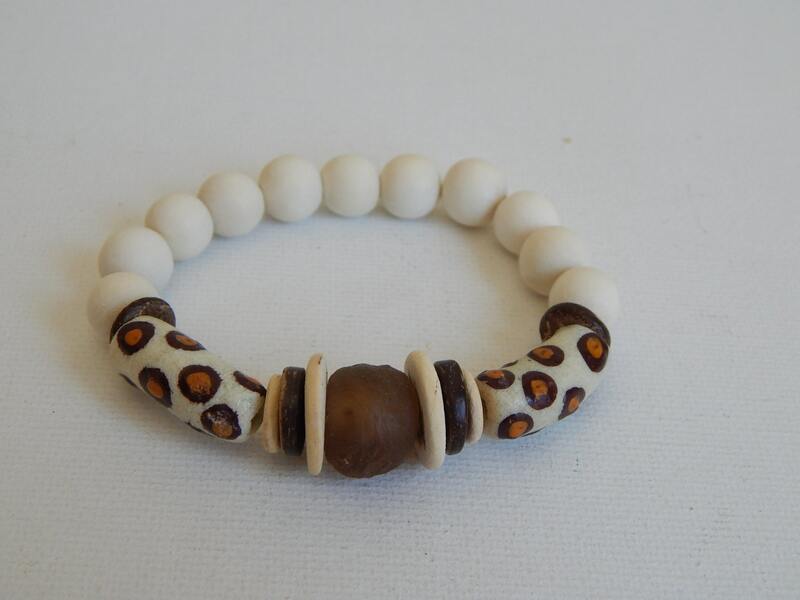 Wood beads are 10mm and the African trade beads will vary my size.